The Elder Scrolls Online is a massively multiplayer online spin-off of the Elder Scrolls franchise. It takes place in the year 2E 582, making it the earliest-set game in the series. With the fall of the Reman Dynasty at the end of the First Era, the Dragonfires go out without an emperor to light them. 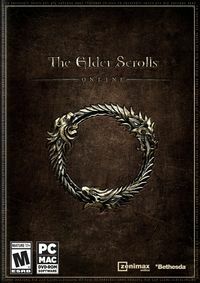 In the absence of a clear leader, three warring factions—the Aldmeri Dominion, the Daggerfall Covenant, and the Ebonheart Pact—use the opportunity to expand their territory, at the expense of their rivals and the residents of the Imperial province of Cyrodiil. The Tharn family (ancestors of the infamous Jagar Tharn) forges an alliance with Mannimarco to assist the depleted and surrounded Imperial Army by reanimating their dead. Secretly, Mannimarco betrays his Imperial allies by assisting the Daedric Prince Molag Bal in invading Tamriel in an attempt to incorporate it into his realm. The player character is one of Molag Bal's victims, who has had his or her soul stolen by the Daedric Prince. Following a public beta, the game launched for early access in late March 2014 for PC/Mac and was originally subscription-based. 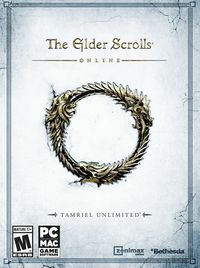 It was rebranded as The Elder Scrolls Online: Tamriel Unlimited in March 2015 to coincide with a shift in payment model, moving to a buy-to-play model with DLC-based updates, an in-game cash shop, and an optional premium subscription. The game launched on Xbox One and PS4 in June 2015. 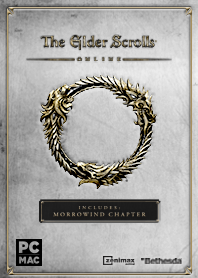 Following the launch of the Gold Edition in September 2016 and the One Tamriel update in October 2016, Tamriel Unlimited was removed from the branding. Buying Guide — Not sure which of the game's several versions to get, or how to get the DLC you're missing? UESP Guild — Join the UESP on its adventures throughout Tamriel! This page was last modified on 27 November 2018, at 22:07.